Floyd Mayweather knew boxing fans had long been waiting for his fight against Pacquiao, and now he added two more demands to make it possible. 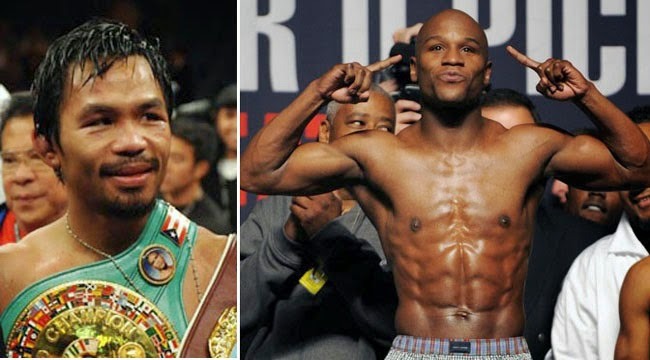 The two new conditions, however, did not surprise some since Mayweather is known to have endless demands for the realization of his fight with Filipino Boxing Champ Manny Pacquiao. In an interview with ESPN UK, Mayweather demanded that the fight would only be covered by Showtime pay-per-view though he knew Pacquiao’s fights are covered by its rival network, HBO. Though the two networks had been known to be rivals, they were able to work together in 2002 to broadcast the fight of Mike Tyson and Lennox Lewis. The other demand was that the fight must be done by Mayweather Promotions. These conditions are yet to be fulfilled since both camps had been negotiating and failing to have a deal over the years. Some people considered that the fight is hard to conceive because of Mayweather’s demands. Manny Pacquiao challenged Floyd Mayweather last Thurdays to stop talking and just fight him in the ring. He said in an interview in AFP that Mayweather should stop talking much and just agree to have a fight to make the boxing fans’ dream of mega-fight a reality. Pacquiao is now training to defend his WBO welterweight title from Chris Algieri who is also an undefeated American boxer. The fight would be in Macau on November. Meanwhile, Maywaeather was successful in still keeping his no-lose record against Marcos Maidana. Pacquiao also retorted that Mayweather’s record is questionable since he is known to choose easy rivals. In the Filipino icon’s opinion, Maidana had won the fight since Mayweather had swollen face after the match. To be able to be a real champion, one must fight the best ones, as believed by Pacquiao.